A Document Artifact is like a word processor file that can be created and stored directly inside the model to record structured documentation. It is a light-weight and convenient alternative to creating a document in your favorite word processor. It has many of the features you would expect in a word processing tool and allows you to create hyperlinks to content in the modeling Repository. An analyst will often be required to create structured documentation over and above what might properly be placed in an element's notes or in a corporate document repository. This could include things like interview plans, focus groups agendas, surveys and more. There is rarely a requirement to store this type of documentation in a corporate document repository and storing them inside the modeling repository has many benefits including being able to include hyperlinks to elements and diagrams contained in the Project Browser. A Document Artifact can be used to add structured documentation in the form of a word processor (rtf) file. This can be a standalone element or it can be linked to another model element. In large organizations there is often a corporate repository for documents but in smaller organizations or when a document is less formal the document Artifact can be a useful mechanism for storing information. For example it can be used to document or plan a stakeholder workshop or focus group. 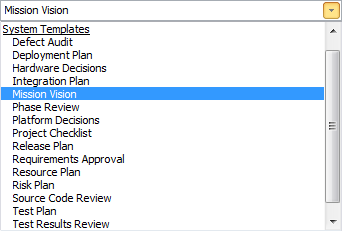 When a Document Artifact is created there is an option to use a built-in or user defined template. Any number of templates can be created for documents such as focus groups, workshops surveys and plans. 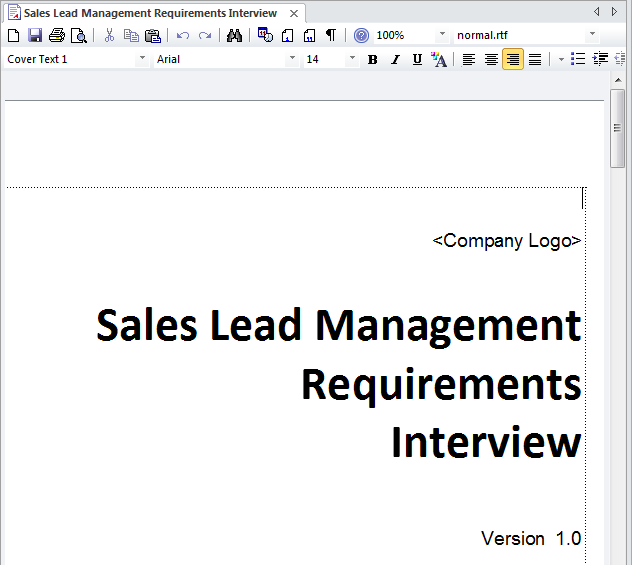 Elements and diagrams can be dragged onto the document from the Project Browser, which allows readers to click through from the location in the document to the diagram or element. Many of the features found in Word Processors are available, such as inserting pictures and tables, creating Tables of Contents and headers and footers, tracking changes to the document and more.